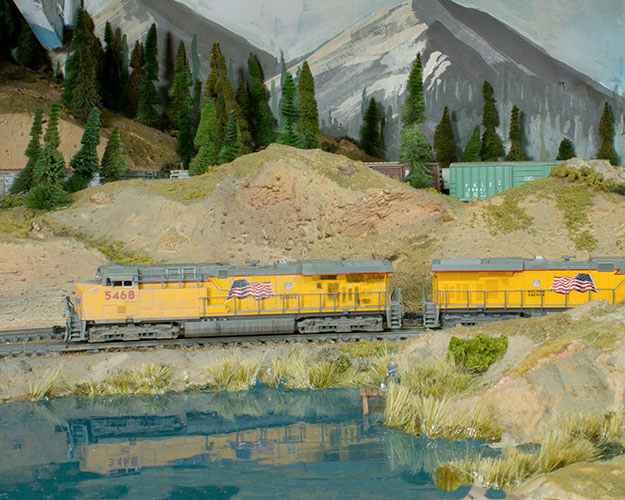 Come see the Montana Rail Link's modern operations over Mullan Pass on Kirk Thompson's HO scale layout. 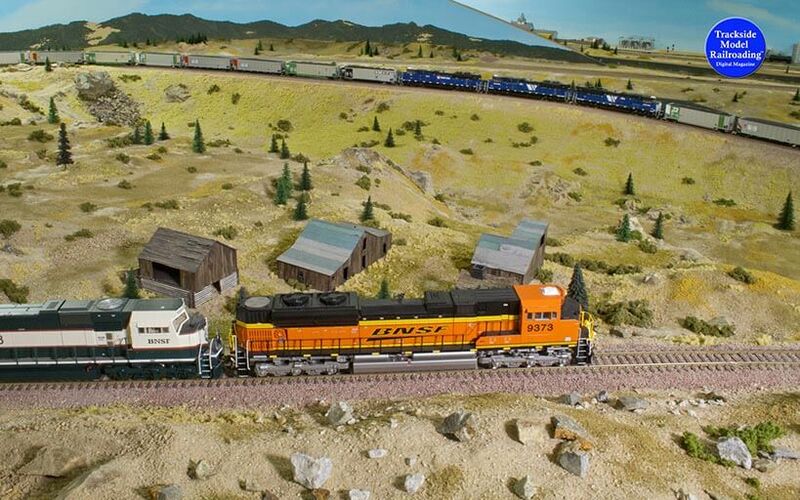 Watch the BNSF and MRL in action, hauling heavy freights up the grade. 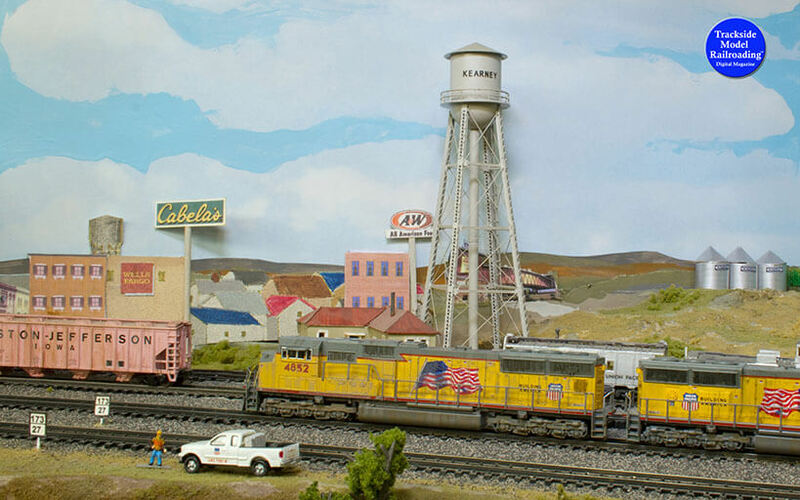 The layout models the line from Laurel to Missoula with a focus around Helena. 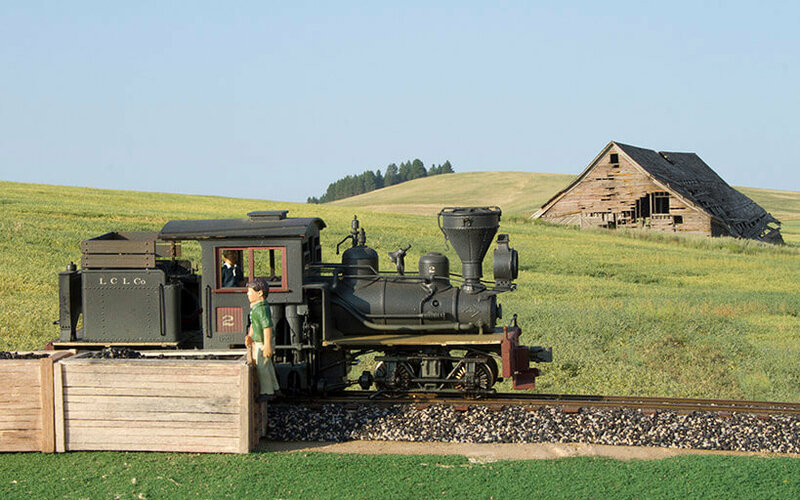 Just like the prototype, Kirk runs helpers to assist the trains as they climb the Rockies. This feature includes photos, video, and a cab ride. Watch the Union Pacific at work as it hauls freight across the country from Nebraska to the west. 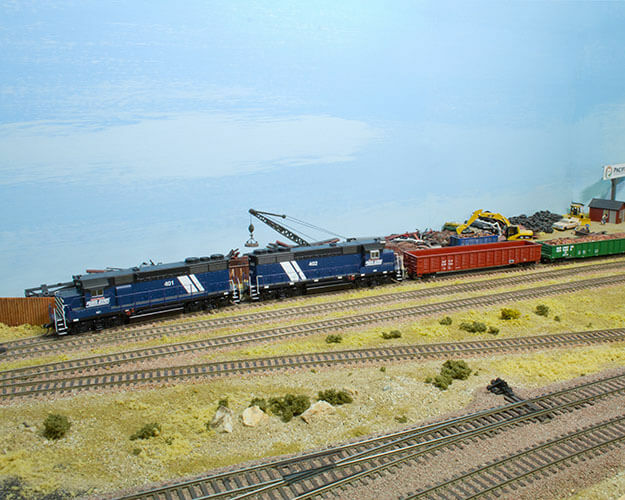 Bob Bjerke’s N scale layout is a busy railfanning layout featuring heavy traffic and a variety of scenery along the long route. The multi-unit lash-ups haul all sorts of goods on this unusual three-room pike. We include video and photographs of the layout, as well as hand-drawn maps. 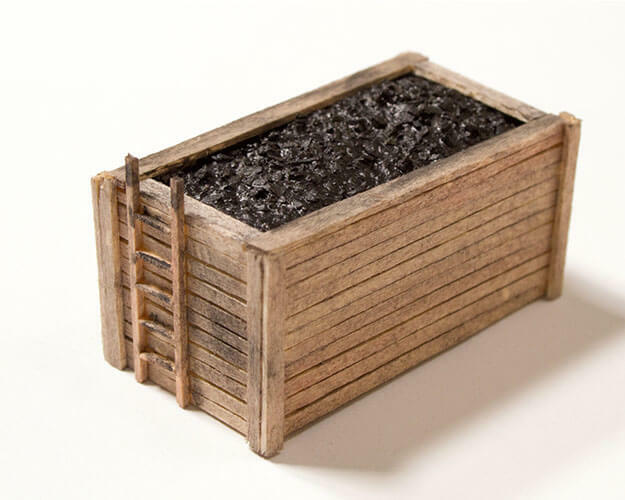 We build a portable coal bunker from scratch this month using inexpensive materials. We will show you how to build the bunker and create a realistic coal load for it. For those who would like to see even more of these two layouts, we make a Blu-ray and DVD each month. The video features both the Montana Rail Link on Mullan Pass and the Union Pacific Overland Route with much more video than what you will see in the magazine. The video is 105 minutes. All video is accompanied with narration, except for cab rides. Blu-ray orders will be processed and shipped out within 10 days of ordering. All US orders include free shipping. International orders will be subject to shipping costs. Our Blu-ray & DVDs are region free and are in NTSC format.